Your adventure begins on the plane of Solum, a violent and untamed land. This is a realm of mystery and wonder, home to timeless ruins, sprawling landscapes, and dark refuges left untouched by any human. Nations are plagued by giant flora and fauna. Mutated beasts who hide behind bone masks, known as deceivers, terrorize entire populations. 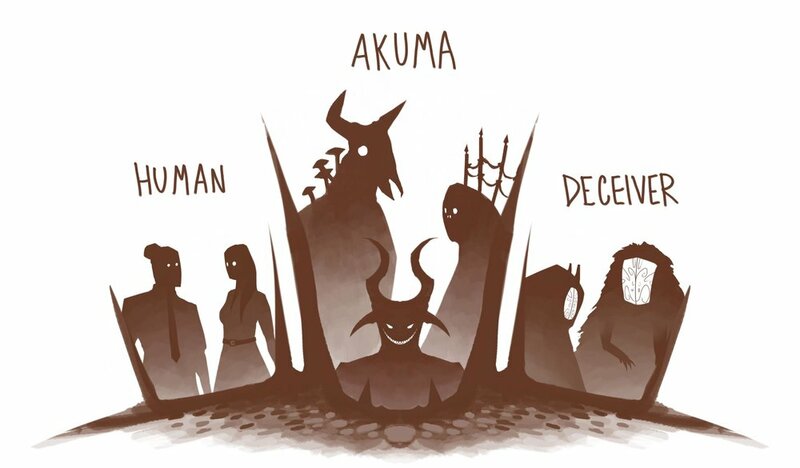 Legends tell of corrupted shapeshifters, Akuma, that walk amongst men. Cities must construct towering walls to defend against such nightmares, but within these walls there is still hope yet. Soulbound is a dark, industrial fantasy. This means players will fight using both swords and firearms, even combinations of the two. The game seeks to marry medieval fantasy, Victorian style, and the spirit of the industrial age. In certain regions Solum's inhabitants enjoy modern conveniences such as organized city planning, plumbing, and in the rarest cases, electricity. Cities are densely populated and often filthy. Men wear long coats and wide hats while women sport frilly dresses. Outside of such metropolitan areas people lead harsher lives. Smaller villages must keep ravenous beasts at bay. Brave souls must use swords and bows as firearms are too expensive or too distant to acquire. Solum is a diverse world full of different people, cultures, and landscapes that will allow players explore endless unique stories.